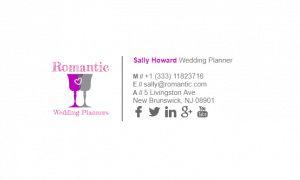 There is nothing worse than a boring wedding! 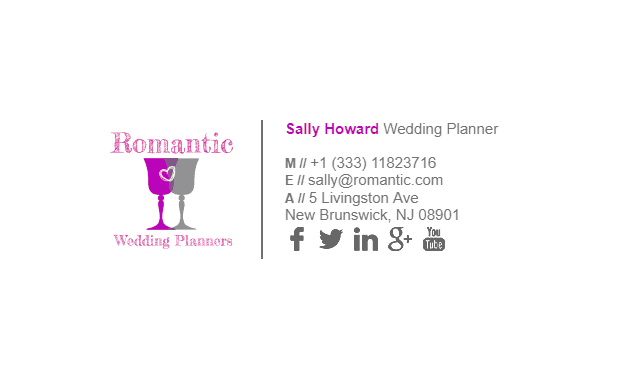 Let your customers know that your wedding planning is the best out there, by having customer testimonials in your email signature. 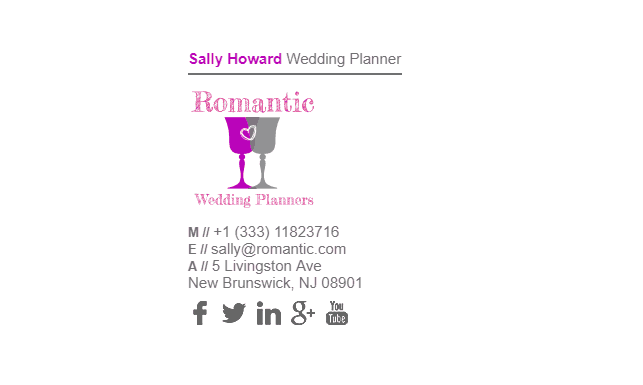 Have phone numbers of your previous customers (with their permission of course) that new customers can call to ask how the wedding planning turned out. 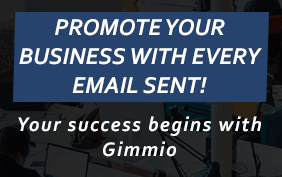 Word of mouth is the best type of referral business, so make it work for you by having an awesome email signature. 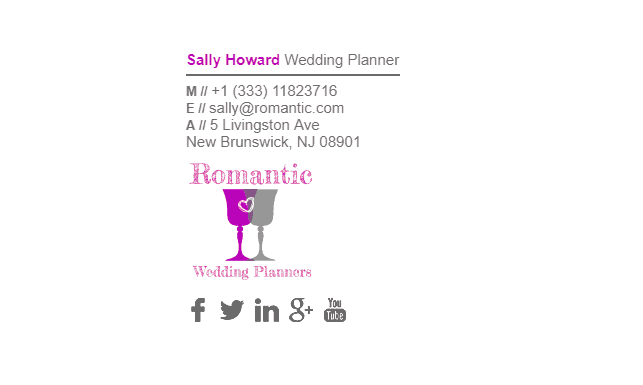 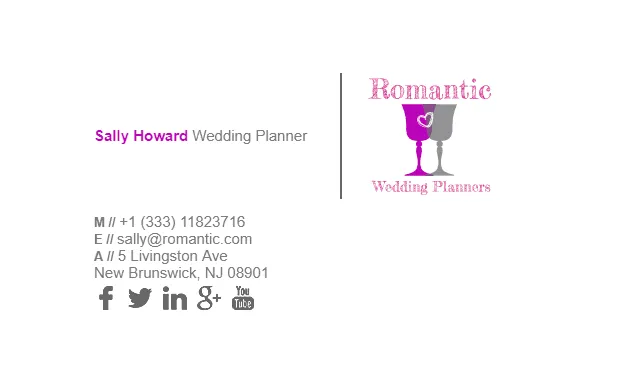 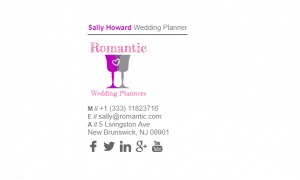 See below our wedding planners email signature examples and choose for yourself. 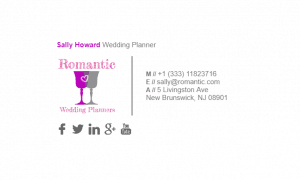 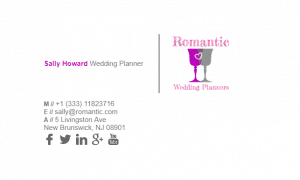 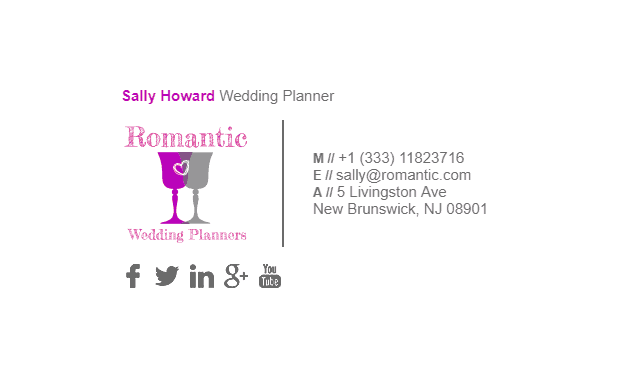 What Should Be Included in a Wedding Planners Email Signature?